Scientists Report The Planet Was Hotter Than Ever In The First Half Of 2016 : The Two-Way For example, June's average was up 1.62 F. A couple of degrees may not sound like much, but it's persistent warming over decades that alters the atmosphere, the oceans, and most everything else. 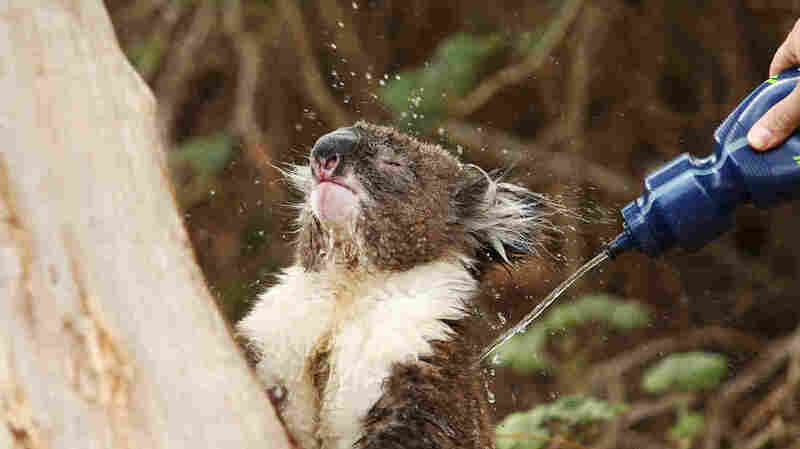 A heat-stressed koala is doused with water in December 2015 during an extreme heat wave in Adelaide, Australia. Last year was the hottest on record, but 2016 is on pace to supplant it at the top of the list. Every month of this year has set heat records. Let's look at June. Scientists took temperatures from around the world and got a June average. What they found was a world that was 1.62 degrees Fahrenheit hotter than the average June in the 20th Century. How about January? Hottest ever. Same with February, March, April and May. Every month in 2016 has been warmer than ever, at least since people started keeping reliable records — that was 1880. How much warmer is 2016 so far? Overall, this year has been almost two degrees warmer than what people experienced in the 20th Century. 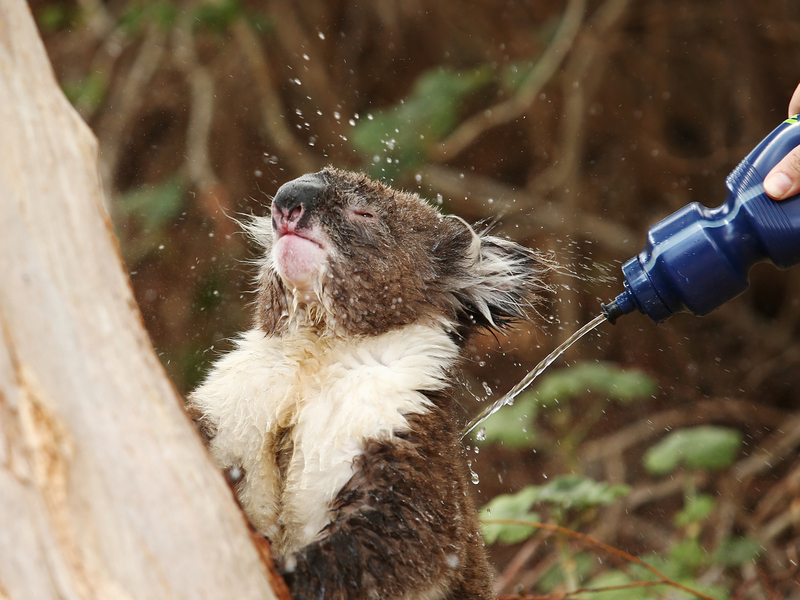 Now, you may remember, last year broke the record for the hottest year ever globally. But Gavin Schmidt, climate scientist and director of NASA's Goddard Institute for Space Studies, says that "2016 has really has blown that out of the water." Schmidt has calculated the chance that the rest of this year will continue on its record pace, based on the first six months. "It indicates that we have roughly a 99 percent chance of a new record in 2016," he says. Now, a couple of degrees warmer overall may not sound like much; it changes more than that in a day. But Schmidt points out that it's persistent warming over decades that alters the atmosphere, the oceans and most everything else. An average eliminates the temperature extremes and variations and renders a number that indicates a persistent trend. And while a temporary increase in temperature won't affect sea level, a long-term one will. "Sea level rise is a cumulative effect of persistent warming for decade and decades and decades," Schmidt explains, "that is warming up the interior of the ocean." Eventually, a warmer ocean expands, just as heated water does in a kettle. A warmer ocean also causes more evaporation to rise from the surface, which leads to more rainfall in some places. Another effect of prolonged warming is melting of sea ice in the Arctic. NASA scientists say this year it's melted down to its lowest extent since the late 1970s, when satellite measurements began. "We've had the lowest sea ice extent average over the first six months by a fair amount in our satellite record going back to 1979," says Walt Meier, a NASA sea ice scientist. Schmidt says the warming trend has been pretty steady for decades, with a few wobbles now and then. Part of the reason this year was so warm was because of El Nino, a weather pattern that arises every few years that brings extra-warm Pacific water — and air — eastward. "With the El Nino ... what we had was an upwiggle on top of a long-term trend," Schmidt says. The NASA team says El Nino's warming influence will disappear by the end of the year, which should mean 2017 might be a bit cooler. But they point out that the long-term underlying trend over the past several decades — and into the foreseeable future — is continued warming.